Once upon a time gentlemen who made a living calling horse-races were notable for their taste in hats, either fedora or trilby, in nice felt, with a little feather on the side. Nowadays, with the fondness for calling politics as if it is a horse-race, one wonders if there is a row of such titfers hanging on the wall in every parliamentary press gallery. 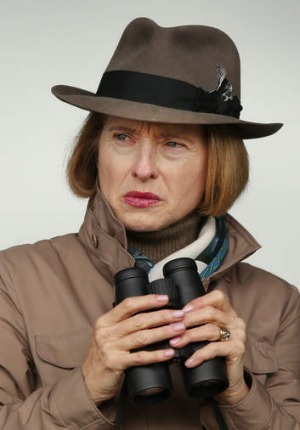 There would be a women’s version also, like the ones worn by trainer Gai Waterhouse. Griffith Review 51 does not see our politics and governance as an extension of Flemington, Morphettville or Randwick. It implicitly starts from the proposition (Politics 101 recalled here) that in systems there are inputs, outputs and a box in the middle where things happen – or are supposed to. Then there are outcomes, feedback loops, and an environment. Systems in government generate, among other outputs, policies, which, in turn, have outcomes, that is, they affect people. Without needing to categorise each article in GR 51 as being about particular bits of the generic system – it’s a crude model anyway – it is clear that the volume ranges widely and mostly fruitfully in the interest of fostering ‘a society that really works’. Some pieces are reruns of things the authors have said before but they will probably reach a bigger audience in this medium. Julianne Schulz’s brisk introduction marks out the territory of the book, pointing out that ‘systems are human constructs, shaped to address complex problems and to enable us to shape our own destiny’. How is this shaping to be done? Schultz nails it while writing an epitaph for our manifestly inadequate former prime minister and his beknighted catchphrases, ‘captain’s pick’ or ‘captain’s call’, the latter recently chosen by the Macquarie Dictionary as the word of the year. It [the catchphrase] demonstrated that he did not have sufficient mastery or respect for the processes of government – of rigorous, evidence-based policy-making tested by a robust exchange of views – or the essential skill of a politician to negotiate, compromise and find solutions that achieve the desired end while alienating as few as possible (emphasis added). The best pieces in GR 51 are about fear, Indigenous Australia, and institutions and organising. First, fear. This reviewer saw fear as a theme in five of the articles. 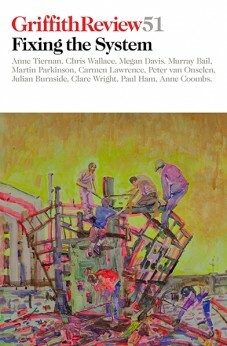 Carmen Lawrence’s book Fear and Politics (2006) was perceptive on how xenophobia has shaped Australian history and politics and her article in GR 51 carries on from there, describing how she encourages her students to ‘live with doubt’ – which sounds somewhat like coping with fear, all of us to confront our own history – where white fear of our First Peoples has been central – and her former colleagues in politics not ‘to be captive to the idea that to admit uncertainty is certain death’ – which covers the fear of being seen temporarily without policy clothing while not having the capacity (through ‘rigorous, evidence-based policy-making’) to remedy the situation. by our response to boat people since August 2001, we may have defined our national character … Just as a person’s character is judged by their conduct, so a country’s character is judged by its conduct. Australia is now judged overseas by its behaviour as cruel and selfish. 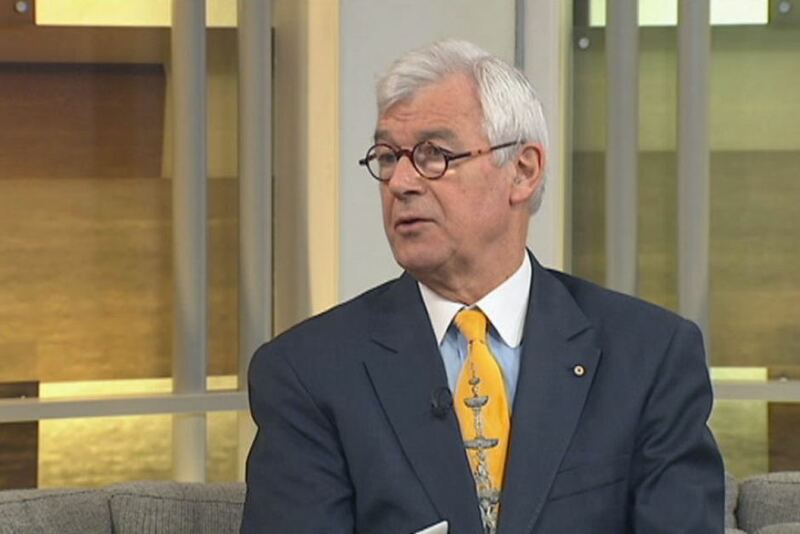 Klaus Neumann says we need to confront the fact that ‘for more than twenty years Australia’s response to asylum seekers has been deliberately cruel’. He notes also that the famous Howard mantra, ‘We decide who comes to this country, and the circumstances in which they come’, has been on government templates since at least the 1930s. Yet elected governments only trot out that sort of rhetoric, and the policies that go with it, if they know the policies resonate in the community. The critical point from all this is to acknowledge that most of the emerging and developing world does not share the West’s “world view”, and that changing economic weight makes it harder to ride roughshod over their objections to the West’s objectives or means of achieving them. Now, that will provoke fear among some of us. Finally, at the personal, private end of the fear spectrum is Lynn Garlick’s reminiscence of her experiences as a middle-class, professionally qualified victim of domestic violence. She was treated well neither by the system nor her violent husband. ‘I left the court with a Temporary Protection Order and a police frisk, only to find him waiting outside, pale and livid.’ Her story shows that violence does not only happen to working-class women tied to tattooed boofheads. The outputs (and outcomes) of the Australian system have also been particularly deficient and destructive for Indigenous Australians. In GR 51 Megan Davis is critical of ‘faceless, unnamed drivers of my people’s destiny’ who have steered Australia into rejecting self-determination for its First Peoples, John Boulton argues that the poor health of Indigenous children in remote communities is due to a particular cast of mind in the system, Ann Arnold examines Indigenous incarceration rates, which contribute heavily to an overall increase in imprisonment, and Dawn Casey presents a personal and historical view of Indigenous struggles for equality and land rights. To me, [Casey concludes] it seems that not just Indigenous peoples, but all Australians are suffering from the fraught practice of modern politics – the entrenched short-termism, the way party positions trump evidence, the sheer exhaustion of political language. Truly innovative changes are needed in Indigenous policy settings, but can our politics deliver this? If the system is to do better for Indigenous Australians and all of us, there may be some practical hints in Chris Wallace’s examination of Max Weber’s famous article ‘Politics as a vocation’. 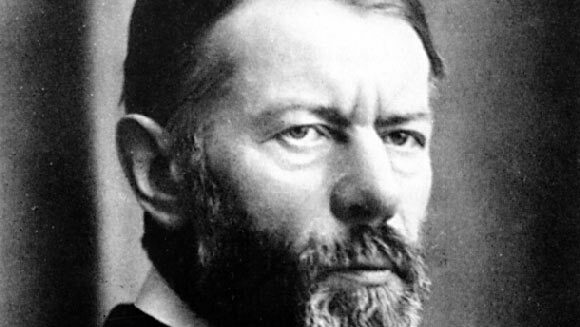 Weber was into the taming of the soul, the forging of compromises, and the idea of politics as ‘a strong and slow boring of hard boards’. Wallace misses this last aphorism, one which just about says it all, really. (Patrick Weller puts it in similar fashion when he says the problems facing our governments ‘are pressing, complex and often diabolically hard’. Asylum seekers, one is moved to say.) Wallace does preserve a nice line from Michael Ignatieff, an academic who tried to wrest Canada’s government from Stephen Harper before Justin Trudeau made his successful assault. Ignatieff learnt the lesson that ‘successful democracies have to practise a politics of adversaries, not a politics of enemies – the difference being that an adversary wants to defeat you whereas an enemy wants to destroy you’. It is Tamson Pietsch’s contribution, however, that muses most effectively on the modern role of institutions, defined broadly to include the way we make effective use of stories, the way we use the digital world and the ways we overcome ‘[t]he alienating effects of life in a marketised society’. She tells us the type of institutions to look for, ones that link the past and the future, that bring people together, that have purposes transcending profit, that are feminist, committed to equality and to doing practical things to meet human needs. There is lots more in this eclectic volume. Clare Wright’s piece is a version of a 2014 article about the role of women, particularly Vida Goldstein, in the Federation era development of Australia. Clare Wright is one of Honest History’s distinguished supporters and her article contains a pithy summary of one of the many ways of looking at Australia’s history. 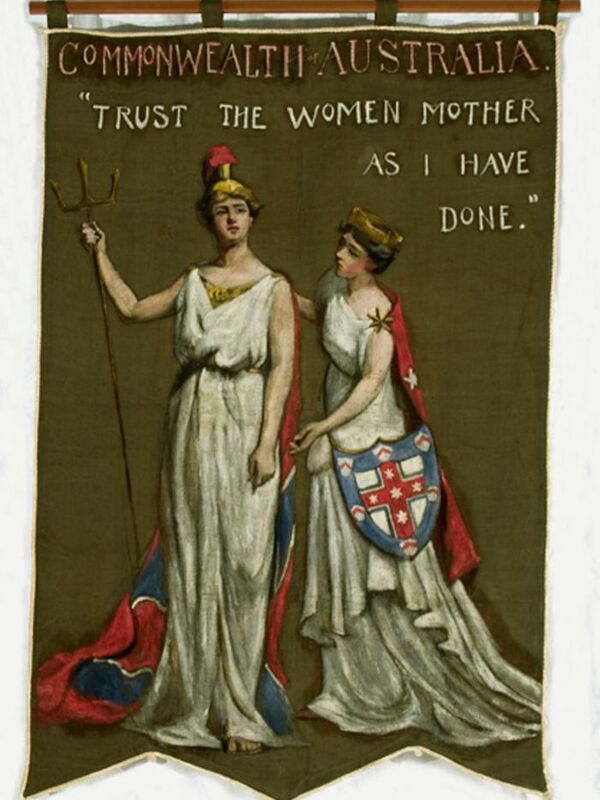 She describes this feminist suffrage banner from 1911. This feminised coming-of-age story, implicit in Australia’s critical role in the British suffrage campaigns, provides an alternative to the androcentric underpinnings of Gallipoli’s enduring “birth of a nation” mystique. Gallipoli also represented the heady, irrestible triumvirate of militarism, empire and race … Underpinned by the same imperialist subservience that ultimately fuelled the Anzac legend, with its heroically active men and patriotically domestic women, the transnational potential for feminists to take a leading role on the world stage was impaired. Australia’s relevance as a youthful ambassador for change diminished as its acquiescent ties to Mother England remained stubbornly tangled. The collection also includes essays by editor Tiernan on how political professionals can become more useful (by making a bigger contribution to public policy), Pat Weller taking a long view of political crises, Vishaal Kishore and Peter Van Onselen and Wayne Errington musing on the nature of public policy and how it might be improved (govern rather than rule, the latter authors exhort our elected representatives) and Andrew Fowler on the depths to which journalism has sunk (though no mention of fedoras and feathers). Then there are ‘memoirs’ – GR’s distinction between ‘essays’ and ‘memoirs’ still eludes me – by Kate Veitch on overcoming acquisitiveness, GJ Stroud on the rewards and frustrations of teaching to standards rather than needs and Lee Kofman on her uncertain existence as the holder of a bridging visa and the impecunious dependant of unprepossessing men. In this section also, Gabrielle Carey and Paul Ham have intriguing views on ‘being Australian’: Carey analyses our ambivalent attitudes to authority while Ham reckons we are but ‘a half-formed nation’. Rounding off the collection are a couple of slices of fiction by Laura Elvery and Murray Bail and a perceptive set of photographs by Sally McInerney on life in the asylum seekers’ prison camp in Nauru. GR 51 provokes some more general thoughts. It shows we are not in Australia bereft of worthy thinking and writing on government and what should be its policy priorities. The mainstream media is no longer the place to find this material – though there are some notable exceptions like Nic Stuart in Fairfax and Lenore Taylor in Guardian Australia (Paul Kelly in The Australian not so much these days) – but non-MSM online publications like Australian Independent Media Network, Australian Policy Online, Independent Australia, Inside Story, New Matilda and Pearls and Irritations do their best. Some of this material is scrappy or self-indulgent but at its best it is very good. GR 51 adds to the stock. Turning to one-off volleys, Laura Tingle’s recent Quarterly Essay made some good points about the state of our polity (though Paddy Gourley took Ms Tingle to task in Inside Story on some issues of fact and interpretation). Then there is Fairness, Opportunity and Security, the collection of essays edited by John Menadue (another one of Honest History’s distinguished supporters) and Michael Keating, which forensically examined most fields of public policy. The Conversation is the place to go, though, if you are looking every day for academics who try to write clearly and helpfully on issues of current moment. Honest History, in its role as information-broker, finds itself linking more and more to pieces in The Conversation, both for their current relevance and as solid first drafts of history. It is good to see the growth and flourishing of a cadre of academics who are ready to contest in today’s marketplace of ideas rather than being content to finely hone their work over months for presentation to a few dozen colleagues in a peer-reviewed, pay-walled journal a year or more later. Such is the path of dinosaurs. For intelligent, well-written quarterly commentary, however, Griffith Review remains the gold standard, cohering around simple but robust themes, handsomely produced with a minimum of editorial clangers. The theme in GR 51 is not quite as strong as that in GR 48, which Honest History also reviewed, and a couple of the articles were in need of a good editorial scrub but, that having been said, ‘Fixing the system’ is well up to par and should be compulsory reading for ministers and representatives in our various parliaments. It should also be well-thumbed by political journalists, the men and women who have become too comfortable wearing those race-callers’ hats.